Minutes before the midnight deadline, President Barack Obama put his signature to a bill that will provide funding to the Department of Homeland Security for one week, the White House said. The legislation got bogged down with the Democrats pushing for one-year funding of the DHS, while the Republicans hoped to include language that would repeal Obama's unilateral immigration reform. The White House issued a terse, one-sentence statement regarding Obama's signature. Prior to the vote in the House, Minority Leader Nancy Pelosi (D-Calif.) urged Democrats to vote for the one-week extension, saying that another vote fully funding the DHS would be held next week. Democrats and Republicans have sparred over funding for the last two months, with conservatives trying to use the spending bill to block President Obama’s executive orders on immigration. The extension does not contain provisions against the president’s immigration orders, and it’s unlikely that any measure to fully fund DHS for the next year will contain such measures. Earlier Friday, the Senate passed a bill to fund the DHS in the face of a midnight deadline, but a smaller three-week extension failed in the House of Representatives despite garnering the support of GOP leadership, leaving the fate of the agency up in the air. Following an acrimonious debate in the House Friday afternoon, during which Pelosi called on Republicans to “grow up” and “move on” by accepting the Senate bill, the three-week extension proposed by the Republicans was defeated at 5pm EST by 224 votes to 203. House Resolution 240, proposed by the Democrats to extend DHS funding until the end of the fiscal year in September, was likewise defeated by 218 to 201. Pres Obama wants full-year funding for DHS but will sign 3-week extension rather than let it shutdown, says @PressSec. Friday morning, the Senate voted 68-31 in support of a spending bill lasting the rest of the fiscal year, giving the chamber’s go-ahead to keep the DHS fully funded. The measure needed 60 “aye” votes in order to advance. The White House, meanwhile, said President Barack Obama would sign a short-term extension if he had to. “If the president is faced with a choice between the short-term extension and shutting down the Department of Homeland Security, he will sign the short-term extension,” White House spokesman Josh Earnest told reporters Friday afternoon. 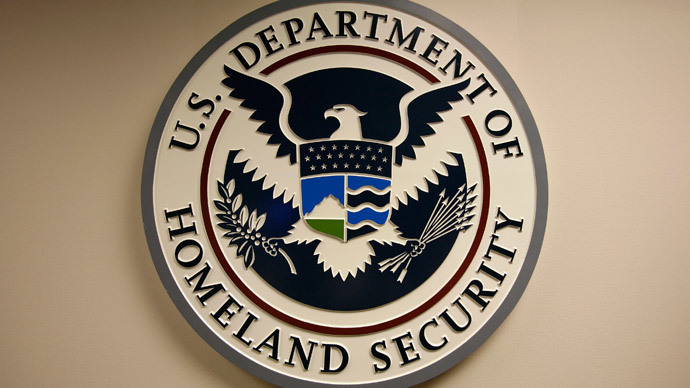 The DHS was threatened with a shutdown if no deal emerged before the midnight deadline on Friday. Most employees are deemed “essential” and would have continued working without pay, though some 30,000 employees would have been furloughed. At the heart of the dispute is President Obama’s immigration amnesty plan, announced in November, which could grant Social Security numbers, work permits, and legal status to as many as four million people currently in the US illegally.